Updated! Use my code TRICIA to take $25 off of any pass through August 15! Most people wouldn’t believe it, but I am TERRIBLE at stepping outside my comfort zones. I like having plans and routines and predictability. I like safety nets and knowing what I am getting into. That’s a big reason why I go to the same events year after year and have been reluctant to try out others. I think a lot of you are like me. We like what we like…why try something else? Especially when as self-employed entrepreneurs, money from our own pockets goes into funding every trip. Sometimes I get in a rut of talking to the same people all the time and doing the same things over and over. Last month I was given the opportunity to get out of that run by traveling to Philadelphia for the first ASCEND Summit, sponsored by Aweber. I use Aweber for a number of my newsletters, and I was asked to moderate a panel about Affiliate Marketing. I viewed the conference as an opportunity to get a little more speaking experience and participate in a panel of really smart people in my industry. I didn’t expect to actually get a lot out of the conference because only a small part of my business is email. I was absolutely, completely dead wrong. I got more out of the conference than I have in a long time. There were various reasons for that. First, I was out of my element. The conference wasn’t about affiliate marketing. Everything I was learning was something new. Second, there was only one track of presentations and I didn’t feel comfortable skipping things. So I attended sessions I would not otherwise have attended (almost out of guilt!). Third, I was with a whole bunch of new people I had never been around before–never learned from or shared ideas with. As much as I think I know, I still have a lot to learn. Ann Handley gave me ideas about generating better content. Wil Reynolds helped me understand the importance of branding on SEO. Andy Crestodina taught me that I am not using Google Analytics enough. Justine Jordan made me completely rethink the way that my emails appear on mobile devices. Oli Gardner and Brian Massey showed me that my landing pages are pretty much crap. That’s all just the tip of the iceberg, but you can see how all of those things would greatly impact my affiliate marketing business. Did you know about 50% of people open their emails on mobile and 30% of people who unsubscribe do it because they just don’t like the LOOK of the email? Did you know that having social icons on your website just leads your customers AWAY from your website to a point that they will probably not come back? Or that telling people you will not SPAM them just makes you think about spamming them? I also learned about some really cool stuff that Aweber is doing that I should have been paying attention to. If you have a mailing list and are serious about growing it and making it convert, you need to check out their tools. I need to get back to the basics that got me where I am. I need to attend more sessions at Affiliate Summit instead of looking at it only as a networking event. And I need to go back and watch videos of sessions I didn’t get to. I need to attend more small conferences as well so that I can grow my network and learn from new people. I consider my affiliate sites a business. I don’t just blog for fun (although I usually have fun doing it!). Yet I have really been missing some huge opportunities to learn and grow my business the last couple of years. I always think that I don’t have the time to spend listening to speakers or attending more conferences. But what if I were learning things that would 1) help me save time in my work, and 2) grow my business more so that I can hire more employees? Wouldn’t it be worth that time investment? 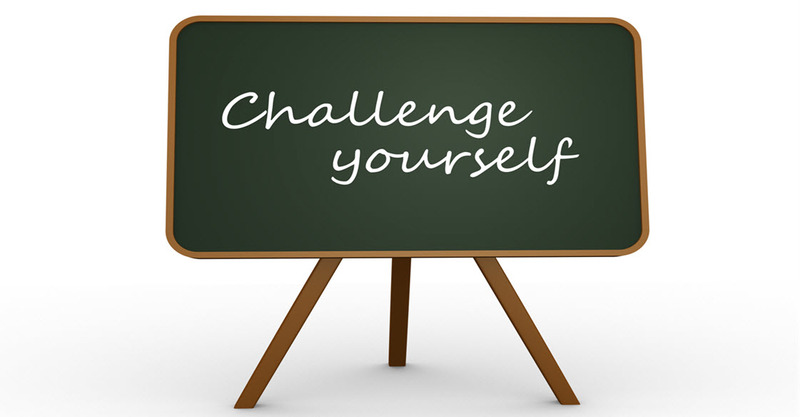 I have two challenges for you. 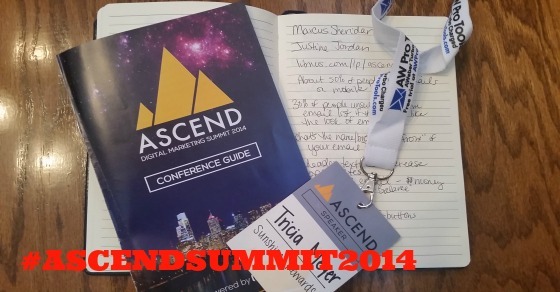 Challenge One: Check out the ASCENDSummit2014 hashtag and either follow a couple of the speakers or click on some of the resources they provided. I guarantee you can learn something. Challenge Two: Go learn something new this week. Either attend a webinar, watch an Affiliate Summit video, or find a local meetup. Spend just an hour learning something new that might help your business–even if it means one less hour you have to get work done! Did you attend the conference and learn something that will change the way that you do business? When was the last time that you DID learn something like that? Affiliate Summit East is going to be here before we know it. I’ve ordered my costume for the ShareASale party, counted my business cards, and double checked my reservations. Now it’s time for two main things–setting my conference goals and pre-networking. Earlier this year I wrote about planning for Affiliate Summit and setting goals, so we don’t need to talk about that again (although re-reading it in anticipation of the conference is a good idea!) Let’s talk about starting your Affiliate Summit networking and how you might even be able to score a free ticket (worth $125) to Affiliate Karaoke. Off the bat you need to know about my session with Eric Nagel and Vanessa Branco. Affiliates and merchants know that networking is important but are likely not doing enough of it. Learn the benefits networking can give you plus concrete methods you should start using today. We have some REALLY cool stuff planned including some audience interaction, our best secret networking tips, and a take-home guide that will amp up your network really fast! Figure out who you need to reconnect with that you already know and drop them a line to see when you might meet up or cross paths. If you want a more extended time to talk, set up a meeting. Look for new people you want to meet. You can find them in a lot of ways including following the #ASE14 hashtag on Twitter, joining the Affiliate Summit East Facebook group, and signing up for the official networking site. Once you figure out who you want to meet, start following them on Twitter, G+, and Facebook. Not in a creepy stalker way. Just get to know them a little bit and, if applicable, comment on their posts. Make sure that you have any materials you want to hand out ready to go. This might include business cards, Q4 promotion cards for your company, and even giveaway items. Get your name out there. Don’t just be a follower! Write a blog post about Affiliate Summit and it will likely get shared and read by a lot of attendees. Tell us who you want to meet and what your goals are. The more people know about you in advance, the more likely they are to seek you out rather than the other way around. The ShareASale Party Under the Stars. Yes, it is $25 this year. But it will be worth it. It’s a great chance to meet people in a relaxed setting. If you don’t know anyone there, find me!! I promise that if you ask around, someone will be able to point you in my direction. Never miss a meal. That doesn’t sound quite right when written that way but I mean it! If you have the pass that includes meals and the snack break, make every effort to be there (even breakfast although it seems early in the morning when you have been up “networking” late the night before). Meals are some of the best places to meet new people and actually be able to have a conversation. The ABestWeb Cocktail Hour. I’ve been a member over there since I first started affiliate marketing and love catching up with old friends plus meeting the newer members. Meet Market and Exhibit Hall. Even if you don’t think there is something there for you, there will be. It might be someone you meet at a booth or it might even be someone you meet wandering around! Put it into your schedule to visit both for at least a couple of hours. Performance Marketing Association Events. I don’t have all of the details yet, but I know that there is going to be an Open Forum for members to talk to the Board of Directors Saturday night plus a fundraiser on Sunday. Both will be places to connect with industry veterans. Affiliate Karaoke is being put on by me and some of my friends, with some really great sponsors. There’s a lot of back story that basically starts with the fact that Affiliate Summit used to have an official karaoke night that we loved. When it was discontinued, we tried to find other venues to meet up at…with varied luck. So this year we took matters into our own hands! This event will be a maximum of 100 people (I know because I have the wristbands!). So it’s a small group. It’s an Open Bar plus Appetizers (which I helped pick out and look delicious). There will be people in attendance that have been in the industry since the first Affiliate Summit! Sponsors have a total of 60 tickets to give out as they see fit, or you can buy a ticket for $125. As a sponsor, I get to decide what to do with my tickets and I have decided to give 2 of them away. If you are looking to attend a smaller event and network with people who can connect you with pretty much anyone in the industry, this is the one to come to! Rules: You must be attending Affiliate Summit to enter. 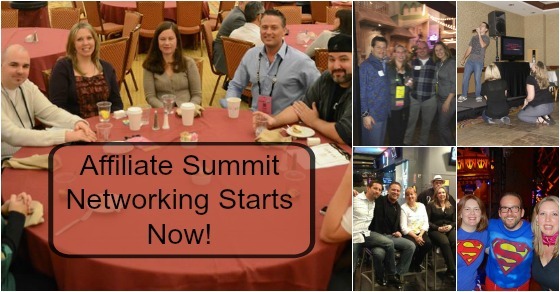 It’s not because we are affiliated with Affiliate Summit (because we are NOT) but rather because we only want people in the industry to attend the party so that it is a true networking opportunity. In addition, if you are one of the winners, you must get the wristband from me by noon on Monday at Affiliate Summit or I will give it to someone else. They are going to be heavily sought after and I want to be sure that it gets used! So please don’t enter if you don’t plan on showing up. Too many other people want it! To Enter: The Rafflecopter is below. I’ve tried to make it interesting. Contest ends Thursday, August 7 at midnight Eastern. I’ll randomly choose 2 people to win wristbands.